Our lab uses quantitative approaches to study the evolution of animal social behaviour in natural ecological and social contexts. We translate the computational techniques developed in lab settings for model systems like Drosophila and Zebrafish, including machine vision, automated tracking, and behavioural decomposition, and employ these in more complex field environments like Lake Tanganyika and the Coral Reef. We seek to understand how social and collective interactions are modified by current context, how animals perceive and process social cues, and how environments – both social and physical – are changed as a consequence of animal behaviour. We take a broad approach, combining proximate neurobiological and genetic mechanisms of social behaviour with large-scale ecological studies of social influence and collective behaviour. Here are some of our current projects. When complex social structures evolve, what needs to change in terms of the behaviour animals express? Do social animals need to do more, that is, must a richer or more complex behavioural repertoire evolve? Are we as human observers able to detect the potentially subtle ways that behaviour may differ in what appear to be similar contexts? And can machine learning approaches help us in this endeavour? We ask these questions across a range of systems, from the explosive adaptive radiation in Tanganyikan cichlids, damselfish on Jamaican coral reefs, Trinidadian guppies, and spiders in the Latin American rainforests. Animals affect, and are affected by, their environments. This simple relationship means that it is difficult to assess how removing animals from their natural contexts might influence their behavioural expression. We aim to quantify the natural structures in which animals live and interact, and manipulate attributes of these structures to experimentally test their effects. Payoffs of reproductive strategies vary depending on the social context in which they are employed, but quantifying how social conditions change can be difficult. With spiders and fish, we manipulate elements of the social context, track all interactions among individuals, and measure the fitness payoffs of varying strategies. Living in groups potentially imposes cognitive challenges that solitary animals do not face. Memory of past interactions, inference of unknown relationships, and recognition of individuals may be required to maintain functional social groups. Using a blend of virtual and traditional approaches, we try to understand the range of cognitive abilities that have evolved along with social living, along with how these differences may be encoded in the brain itself. The structure of networks can have massive impacts on how information moves. From the viral spread of fake news, to power blackouts, to crowd funding, the ways individual systems connect and influence one another shapes much of modern life. A broad goal across disciplines is to understand and design optimal network structures, but understanding the multitude of ways individuals in these systems affect one another presents a massive challenge to researchers. To address this issue, Alex Jordan, leader of the Integrative Field Biology Group in the Max Planck Department of Collective Behaviour and University of Konstanz, has teamed up with computer scientist Orit Peleg (University of Colorado Boulder) and plant physiologist Yasmine Meroz (Tel Aviv University) to understand how information moves through massive networks of plants, aiming to create models of optimal network structure that can be employed in areas from computer science to public transport. Their HFSP grant is one of only nine 2019 Young Investigator Grants, which are awarded to researchers within five years of establishing their independent research group and no more than ten years from their doctoral degree. Because they can move their leaves and flowers to track the sun, by maximizing their own exposure, sunflowers in turn throw shade on their social partners. These plants must then in turn move to avoid being shaded themselves, creating large network cascades of cause and response in these plant communities. We’ve been embracing the Konstanz winter by partaking in (sports?) that require various forms of sliding around, as well as dressing up for Fasnacht. We are looking for a candidate to join a diverse and cross-disciplinary research project exploring how the (bio)physical structures that coral reef fishes inhabit influence their social structure and behaviour, and in turn how animal behaviour influences the structural environment around them. Many animals manipulate their environment through processes of ecological engineering or the production of extended phenotypes, and these biophysical structures can in turn modify the type and frequency of social interactions. In order to understand social and behavioural evolution in many taxa, we must therefore consider the reciprocal relationship between animal behaviour and the environment. In marine and aquatic systems human impacts are increasing, and we are therefore interested in asking this question with respect to both natural and artificial (e.g. intentional or accidental anthropogenic) structures. The successful candidate will be based within the Integrative Field Biology Lab (thejordanlab.com) at the Max Planck Institute Department of Collective Behaviour (collectivebehaviour.com). This project also forms a central part of ‘The Current’, a program focused on ocean science and advocacy within TBA21Academy, which brings together expertise from architecture, conservation policy, art, and science. As such, the candidate will gain experience that spans formal research and scientific communication, with the aim of creating a direct link between ocean research and effective public engagement. The project involves the JordanLab, TBA21 Academy, the Alligator Head Foundation, and the Art Collective SUPERFLEX, and will give the successful candidate a broad range of experience rarely found in PhD candidacy. 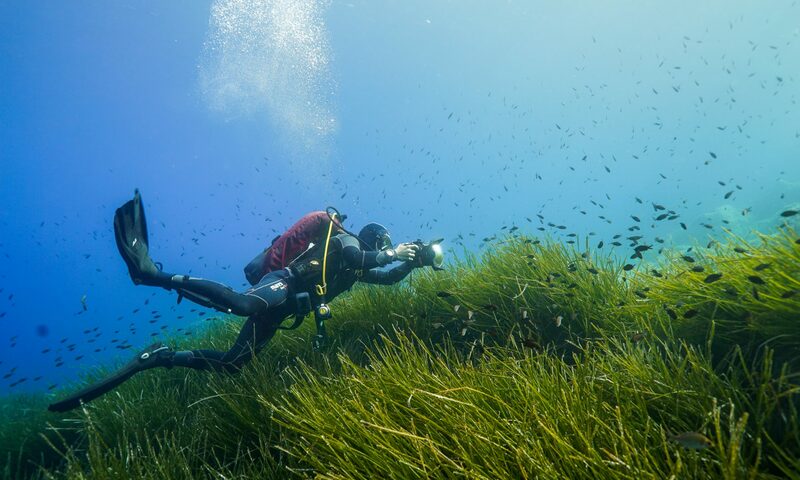 The project will be field-based, with observations and experiments conducted with SCUBA employing underwater videography in marine and freshwater environments over long fieldwork periods. Analytically, the project will draw on techniques including machine-learning based animal tracking, behavioural decomposition, and social network analysis. Prospective students should have proficiency in SCUBA (PADI Advanced or equivalent), demonstrated ability in peer-reviewed scientific writing, and an interest in developing programming skills (Python, MATLAB), but also a willingness and ability to engage with non-scientific audiences. The position can begin as early as March 2019 and will be funded for three years, with the possibility of extension through external funding sources. Students will be living in Konstanz, Germany and will be part of the International Max Planck Research School, with extended periods of field work at the Alligator Head Foundation in Jamaica. We are looking for a candidate to explore how social behaviour evolves over the adaptive radiation in cichlid fishes. Within this group, many species of shell-dwelling Lamprologines live in identical ecological conditions in the same locations in Lake Tanganyika. However, they differ fundamentally in their degree of social and collective behaviour, with some species living solitary life-histories while others are obligately social and cooperative. We wish to explore which behaviours and socio-cognitive abilities may have evolved in the transition among these social states. For example, does social-group living require the evolution of novel behaviours to resolve social conflicts? Does living in complex groups require differing modes of communication than living solitarily? Do social animals possess increased socio-cognitive skill sets, for example the ability to recognise more individuals or remember interactions with them? Overall, what is required for animals to become social? This project will involve SCUBA diving field work in Lake Tanganyika, Zambia for extended periods, as well as lab-based experiments. In particular, the lab projects will employ virtual reality based approaches to explore social interactions among fishes. Analytically, the project will draw on techniques including machine-learning based animal tracking, behavioural decomposition, and social network analysis. We aim for an objective quantification of social behaviour and an analysis of the functional significance of different behavioural elements by combining behavioural decomposition with Markov chain analyses and network graph theory. Prospective students should have proficiency or be willing to take courses in SCUBA (to PADI Advanced or equivalent), demonstrated ability in peer-reviewed scientific writing, and be proficient in programming (Python, MATLAB). The successful candidate will be based within the Integrative Field Biology Lab (thejordanlab.com) at the Max Planck Institute Department of Collective Behaviour (collectivebehaviour.com). The position can begin as early as March 2019 and will be funded for three years, with the possibility of extension through external funding sources. Students will be living in Konstanz, Germany and will be part of the International Max Planck Research School (IMPRS; https://www.mpg.de/en/imprs), with extended periods of field work on the Zambian shores of Lake Tanganyika. In the deep heart of Africa once again. Good photos by Jakob and Paul, bad ones and drone ones by Alex! Ian and Etienne give their thesis proposals at a nice spot in the forest at Ruine Castell, followed by a BBQ and beers.